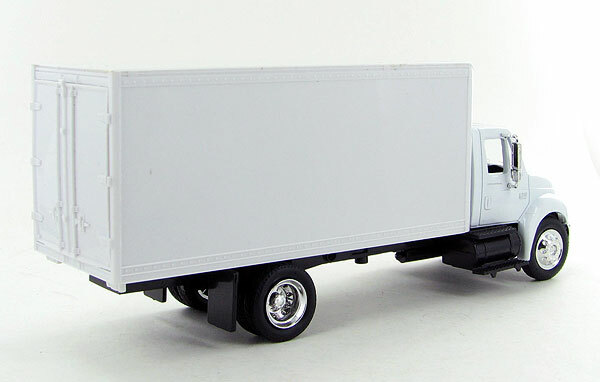 Size in inches: L 8.25"xW2.50"xH3.25"
These New Ray box trucks in 1:43 are excellent replicas of the actual trucks. I did detail the box with aluminum spray trim to replicate the real vehicle and added a livery of a New England carrier. 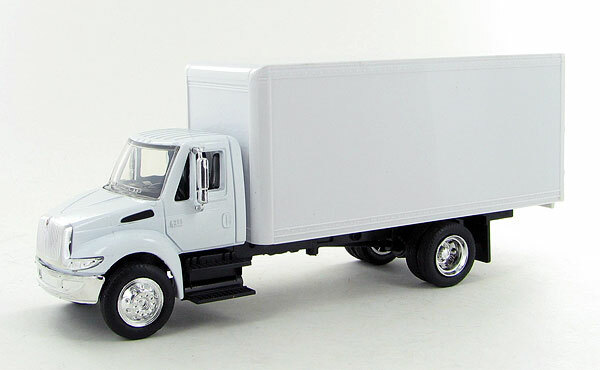 Accurately detailed cab and box and correct proportions make this a very realistic model and the price is reasonable. It's good to have some accurate trucks in 1:43.Service from 3000 Toys is expedient and professional. A great company with whom to deal. Thanks, this product is really what I needed for my company event. They will be used as an award for some of the drivers I work with. I know they will like them for their desk. customer service is very knowlegable of their products & their service is well beyond excellent & helpful,keep up the good work-Marti & Patrick! I enjoy these types of vehicles,& the product& service along with the helpfulness of 3,000-toy's.com's staff was excellent,Yes i will buy from 3,000-toys.com again & again. I was treated excellently!